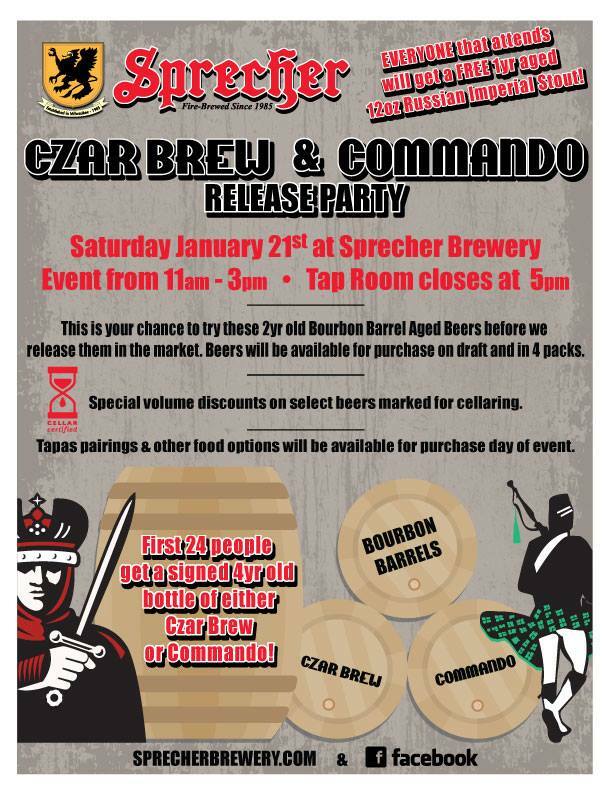 Join us at Sprecher Brewery for a party celebrating the release of our Bourbon Barrel Aged Beers, Czar Brew & Commando! First 24 people in the door will get a signed 4 year old bottle of either Czar Brew or Commando and everyone that attends will get a 12oz, 1 year old bottle of Russian Imperial Stout until supplies run out. This is your very first chance to try these limited release 2 year Bourbon Barrel Aged Beers before we release them into the market. Czar Brew & Commando will be available for purchase on draft and in 4 packs. We will also have special case purchase deals on beers marked specifically for cellaring like our Russian Imperial Stout and Pipers Scotch Ale. 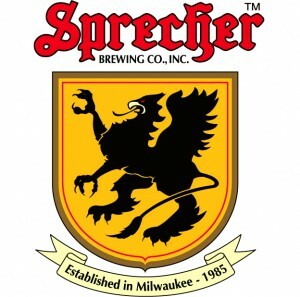 We will have special Sprecher beer & tapas pairings available for purchase in addition to hosting the Wicked Urban Grill Food Truck at the brewery on the day of the event.